Reignwolf, also known as Jordon Cook, is a one-man band that is most commonly accompanied by a bass drum and guitar. 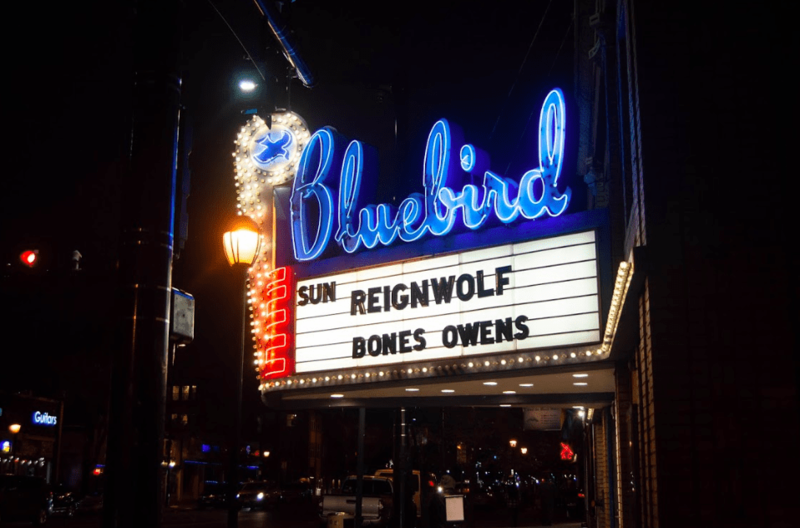 Spending the first few years of his upbringing as a solo act, it was clear Sunday night at the Bluebird, that Reignwolf much prefers the company of his two band members: drummer, Texas Joe, and bassist, Stitch. On Sunday night, October 14, Reignwolf came with a full band that made the middle row standing section the front, and made the sold-out show feel like half its typical size. Like every rock star does best, Reignwolf makes his shows an experience. Angling amplifiers on top of each other in ways that defy physics, finding makeshift guitar slides with microphone stands and positioning the drummer and bassist off stage into the middle row are just a few examples of how he accomplishes this. An effect that demonstrated just how eager Reignwolf was to please the young crowd. “Welcome to the Reignwolf experience” he said in pouring sweat. There’s something about the drummer and bass player from the band you’re watching play right next to you in the stands that makes it feel like the venue is smaller than it actually is. 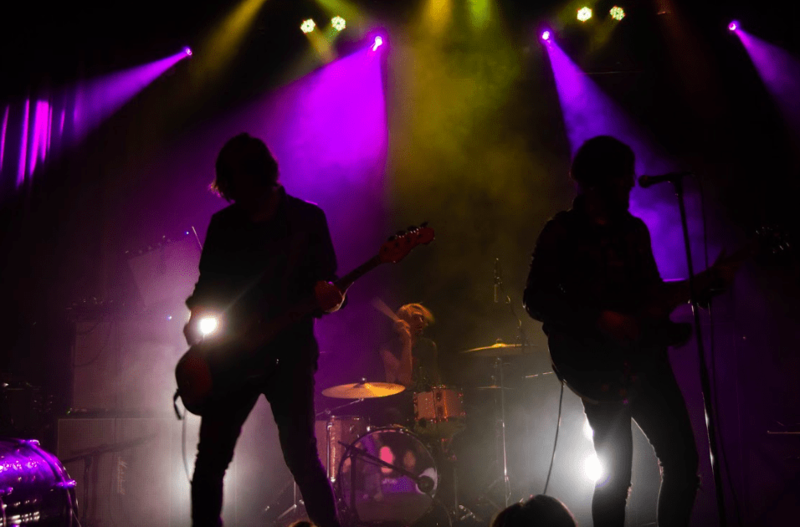 Opening up for arena rock legends Black Sabbath in 2014, Reignwolf knows and feels what it is like to play in front of thousands, but purposely sets up the shows for attendees to feel the sweat of a drummer hit you like you were attending a house show. The Bluebird, one of the more intimate venues in Colorado, was halfway packed by the end of the warm-up act. Walking on stage seven minutes late, Reignwolf and band members made up the time by playing an explosive set filled with distorted guitar and thick bass lines. Although the bassist and drummer who joined Reignwolf on stage that night were talented, the hired guns were put on stage to make him sound bigger. Which is exactly what it did. 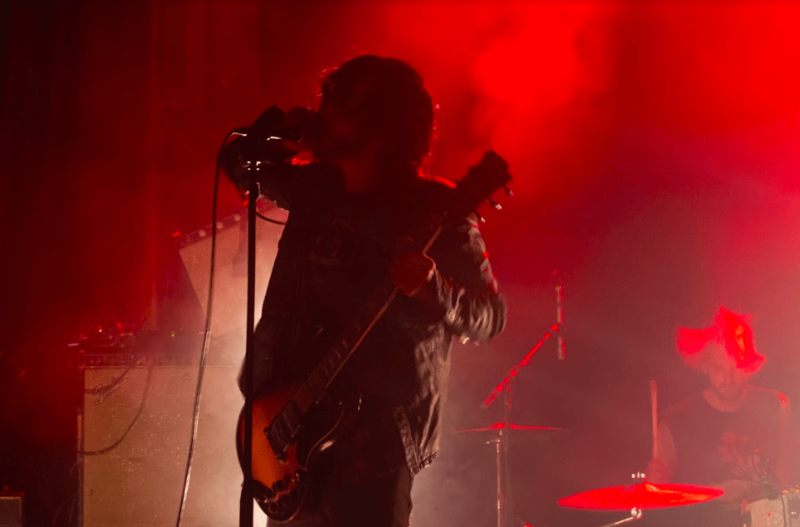 As the lyrics were not audible due to a constant stream of feedback coming from Reignwolf’s guitar, the melody was something that could get stuck in anyones head after one listen. Pulling from the audience’s minds images of a child having a tantrum, Reignwolf screams, kicks, jumps on objects and yells half finished thoughts. After around the 10 song, Reignwolf and company took a bow and left the stage. The fans refusing to leave, the group of musicians came back on for another 10 minutes, as is routine for such loved musicians. Texas Joe and Stitch returning back to their pit that attendees had graciously not collapsed in on, the three musicians attempted to keep an eye on each other behind head-banging fans as the Reignwolf experience improvised their last jam of the night. ← This is Halloween, this is Halloween!